Editor’s note: The following team-by-team capsule reports of MLB stadium technology deployments are an excerpt from our most recent Stadium Tech Report for Q2 2014, which focuses on Major League Baseball. To get all the capsules in one place as well as our featured reports, interviews and analysis, download your free copy of the full report today. 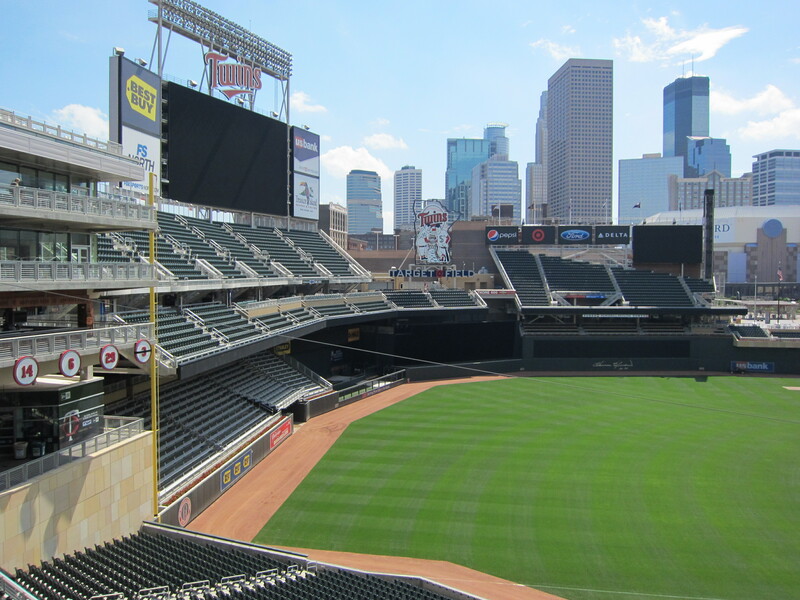 Host of the 2014 All-Star Game, the Minnesota Twins are making necessary upgrades this season to accommodate fans and media for the midsummer classic. Target Field is outfitted with stadium-wide Wi-Fi, as well as a DAS from InSite Wireless and TE Connectivity. Because Target Field is in downtown Minneapolis, the Twins are forced to be creative in how they deliver new DAS antennas in the stadium. The stadium has gone through a series of reconfigurations to put DAS gear in the right place. A ballpark that is just 4 years old, the Twins’ upgrades are proof that organizations must continually improve their stadium networks to bring the best experience to fans. With a name like U.S. Cellular Field, it’s no mistake fans are well connected at White Sox games. In 2012, the Chicago White Sox partnered with Boingo Wireless to bring free Wi-Fi to the stadium. A couple years later, the White Sox have capitalized on a deal with Comcast to bring the XFinity Zone to U.S. Cellular Field. This 2,220 square foot area is the perfect place to grab food, drink, and stay connected with an interactive social media wall. The Detroit Tigers have more than a few screenshots floating around the internet with SSIDs and passwords for their media networks. Unfortunately, it’s hard for Tigers fans to share their tweets the next time Miguel Cabrera drives in a run. That’s because there is still no public Wi-Fi or a DAS for Tigers fans. Recognized as one of baseball’s most Twitter-friendly teams, the Cleveland Indians have featured a social media suite at Progressive Field. But rather than limiting to one area at the ballpark, the Indians have brought Wi-Fi and DAS to all of Progressive Field this season. The Indians teamed up with Verizon Wireless to deliver DAS antennas and Wi-Fi. And now with iBeacons installed in the stadium, Indians’ fans receive exclusive deals when walking through Progressive Field. Kansas City is home to one of the fastest internet connections in the world with Google Fiber now available in some neighborhoods. However, the Royals still do not deliver free Wi-Fi to fans. There are the famous outfield fountains, which deliver fun shows at every game. Still, it’s hard to send out a selfie of yourself dancing in the fountains without Wi-Fi. To get all the capsules in one place as well as our featured reports, interviews and analysis, download your free copy of the full report today.